THE STORY: The Loewe Puzzle bag represents a contemporary geometry, paying a tribute to the label’s craftsmanship and heritage. 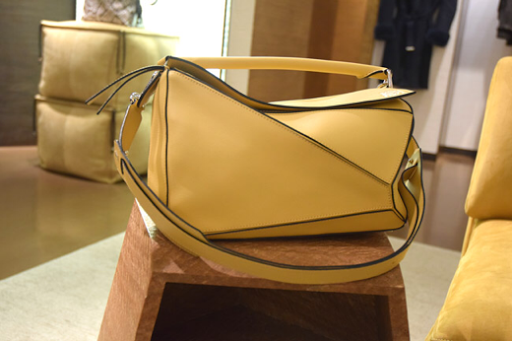 The shape is created through precisely cut slices of leather, that determine how the bag folds, with hand-painted edges and textile lining it is one of the most desirable and unique hand pieces for the season. From his first collection for Loewe, Jonathan Anderson is turning Spanish house to fresher, sharper and more contemporary style. “I set out to find a new way of building a bag, fundamentally questioning its structure. 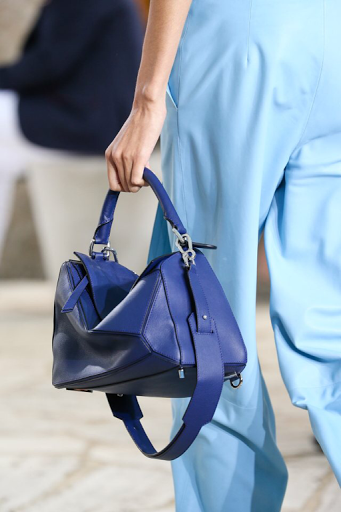 It was about deconstructing a conventional bag to create a flat object with a tridimensional function.” - J.W. Anderson. Made of supple, high-quality leather, this rectangular bag can be worn three ways with a simple strap adjustment: as a backpack, small duffel, or shoulder bag. The panels are seamed to make folding easy, while the main compartment opens with a silver diagonal zipper that can be opened intuitively with every style. Inside, you'll find an interior pocket and plenty of the room for the weekend. Reinforcing the bottom are silver studs that hold the bag's shape. The Loewe Puzzle bag is available in two sizes, a range of colors, plus fabrics and leathers including croc, calf and suede. 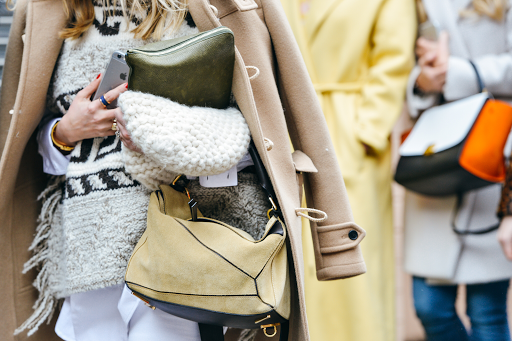 The Loewe Puzzle Bag is made in Spain.